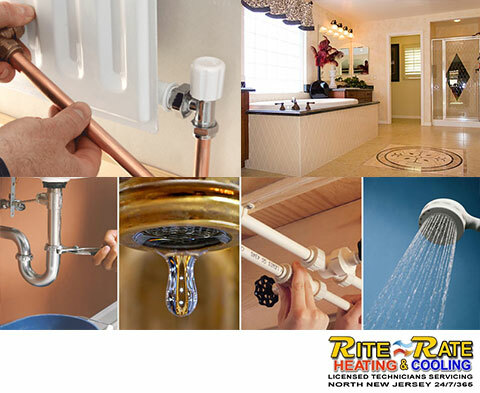 Rite Rate is a full-service plumber, air conditioning, and heating company in Dover, NJ offering quality services at competitive prices. You can count on us to offer you prompt services in a knowledgeable, efficient, and personable manner. We have been providing reliable residential and commercial plumbing, heating, and cooling services in North NJ for quite some time, and guarantee 100% customer service. Our contractors can provide everything from heating repair to a new hot water heater installation! Learn more about our plumbing, heating, and air conditioning company below! 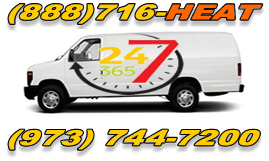 Rite Rate is the most reliable heating company that offers 24-hour emergency heating repair in Dover, NJ. Whether you need a new heating system or repairs for your heat pump, boiler, gas furnace or an oil fired system, we can handle the job. For a new heater installation, we advise you on the type that best suits you and later install it. Our technicians are equipped with the latest skills and are fully licensed which makes us the experts at heating repair, replacement, and installation. For a heating company you can rely on 24/7, call Rite Rate! Our air conditioning services range from installations and replacements to repairs and maintenance of all makes and models of air conditioners. When you need to install a cooling unit, our technicians visit your place and measure the space to determine the perfect unit that meets your needs and budget. In the event of a breakdown, you can trust us to repair your air conditioner and restore comfort. We also offer emergency air conditioning repairs at such times when your system fails, say on a weekend or on a holiday. Call Rite Rate today if you want an affordable air conditioning company in Dover, NJ that you can trust! Our company also offers a comprehensive range of plumbing services including repair, replacement, and installation of pipes, drains, sewer, sump pumps, toilets, sinks, faucets, and showers. You can get 24/7 emergency plumbing repair for any tedious tasks such as fixing a leaky sink or a clogged toilet. Additionally, we provide quality drain and sewer cleaning, water damage restoration, and frozen pipe repair. Contact Rite Rate for affordable residential and commercial plumbing services! We excel in delivering quality HVAC and plumbing solutions, which are available 24/7 for residential and commercial customers. We only offer 100% customer satisfaction guaranteed and all our services are affordable. Call Rite Rate today for a plumbing, heating, and air conditioning company in Dover, NJ.